NAEM's 2015 EHS Management Forum Judi Kovacs, Vice President of Corporate Supplier Social Responsibility Programs; NBCUniversal Inc.
Judi Kovacs, Vice President of Corporate Supplier Social Responsibility Programs, NBCUniversal Inc.
Judi Kovacs has 29 years of experience in developing and managing a variety of aspects of EHS and CSR programs. Judi began her career in industry, where she was employed by Hughes Aircraft and Chemical Waste Management over a span on 6 years. She then moved her career into consulting, where she provided technical and management consulting services for clients over a span of 12 years within a variety of industry sectors including: consumer goods manufacturing, oil & gas, mining, pharmaceuticals, entertainment, aviation, aerospace, and cruise lines. 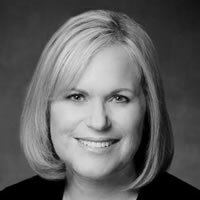 Judi joined NBCUniversal in June 2004 as an EHS Program Director, with the primary responsibility to provide strategic leadership over integration of the EHS programs across the footprint of the newly-acquired Universal Studios and Theme Parks. Once the successful integration was complete, she subsequently lead enterprise wide EHS programs, digitization and compliance assurance at NBCUniversal. In 2011, Judi’s role changed to lead the development and implementation of NBCUniversal’s Corporate Supplier Social Responsibility (CSSR) Program. Judi received a Bachelor’s of Science degree from University of California, Los Angeles in Biology, and a Master's of Science Degree in Environmental Occupational Health from California State University, Northridge. Judi is a Certified Industrial Hygienist (CIH) with the American Board of Industrial Hygiene; a SA 8000 Certified Social Auditor; and is a Certified Professional Environmental Auditor (CPEA) by the Board of Environmental Auditors.